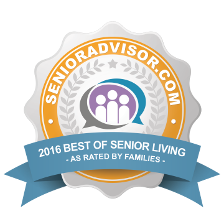 Valley View Gardens is a premier residential community offering Independent Living and Memory Care in Garden Grove, California. Our beautiful community is designed to promote creativity and independence within a safe and loving environment. We would love for you to visit us with your family and loved ones and see for yourself! With its convenient location near Anaheim, a host of dedicated services, and a wide array of amenities, each resident’s wants and needs are carefully tended to in an atmosphere dedicated to the closeness of family and friends. Residents enjoy board games, movies, cards, dominoes, and other social activities in our large and comfy family room. The many activity spaces, services, and amenities at Valley View Gardens allow our residents to kick back, relax, and enjoy themselves with friends and family. Our Garden Grove Memory Care program offers residents coping with Alzheimer’s and dementia an opportunity to reside, dine, and enjoy activities in a supportive atmosphere unlike any other. Staffed by experienced and passionate caregivers, Valley View Gardens’s Memory Care community promotes dignity and independence in a loving and caring environment. Our Memory Care residents and residents’ families receive valuable peace of mind knowing that licensed nursing staff are available 24 hours a day and a security system is in place for residents with dementia. Prior to moving in, we speak with you and your physician to find just the right level of assistance that will allow you to enjoy your independence to the fullest. Together, we will compose an Individual Service Plan (ISP) to guide us in assisting you. We are here to help with medication reminders, special diet plans, shower assistance, dressing assistance, incontinence, and more as needed. Our mission is to provide a lifestyle that fosters independence, actively engages the mind, invigorates the body and nurtures the spirit while offering you and your loved ones the peace of mind you deserve. Further detail regarding floor plans, amenities, and more can be found along the sidebar to the left. Tierre has specialized in the senior housing industry for over 20 years, and loves that her role as Executive Director of Valley View Gardens truly feels like a home away from home. Tierre says what truly sets Valley View Gardens apart is the compassion her team brings to all they do. Tierre earned her Bachelors of Arts degree in Speech Communication with an emphasis on Interpersonal and Organizational communications as well as Human Resource Management. Tierre says in her spare time she like to workout, listen to live music and dance. She’s excited for you to see Valley View Gardens for yourself! Went for a tour. The facility is very clean and the residents looked clean as well. The resident rooms were personalized, which is very good for Alzheimer’s patients. The outside was very homey and secure. I also must compliment Tierre, the Administrator, for having very kind and knowledgeable staff members. It takes special people to work in these types of settings. I would not think twice about placing a family member at Valley View Gardens.